Breakfast has always played an essential role in our diets, but times have changed. As today’s modern family has evolved, consumers’ morning routines and breakfast eating habits have changed as well. With the hustle and bustle of getting myself as well as the children ready for school, there are many mornings I would only have a cup of coffee for breakfast. By the time everyone was ready from head to toe with food in their bellies… there was really no time for me to sit down to eat. 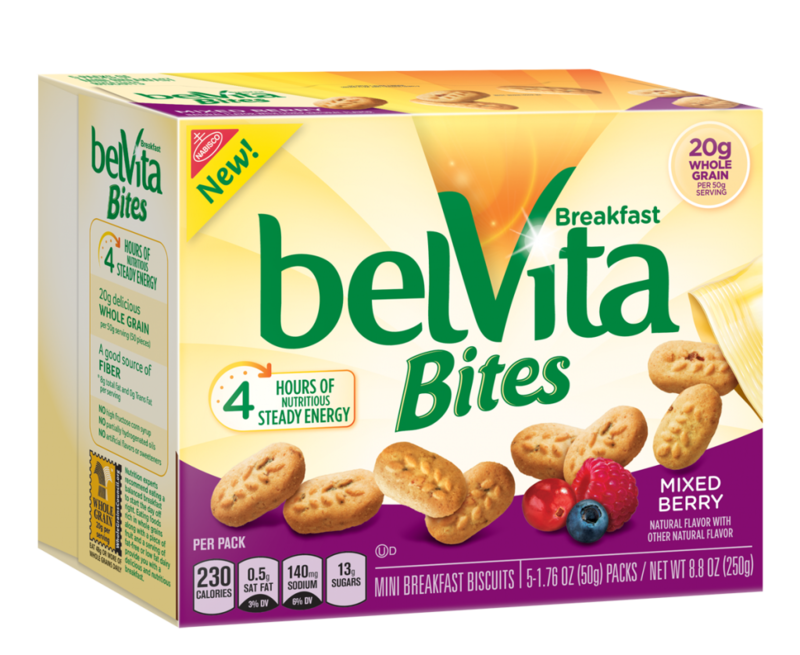 belVita Bites are a convenient option for mornings on the run. No spoon required. Each 50g serving (one pouch) provides: 230 calories, 4g of fiber*, 20g of whole grain. belVita has partnered with Registered Dietitian Keri Gans, Life Coach Christine Hassler, and author of Eat It to Beat It David Zinczenko to provide a few tips for a healthy breakfast and a smooth morning routine. I’m as guilty as the next person when it comes to starting my days right. It wasn’t until I started making breakfast a priority that I noticed how big of an impact eating a good breakfast could make …on my mood, energy level and even my weight loss goals. A study by NPD Group Inc. found that Americans have an average of just 12 minutes a day for consuming breakfast. That is about half the time we spend on lunch (28 minutes) or dinner (24 minutes). My supply of belVita is almost out. I’m convinced and we are trading in the spoon for good! 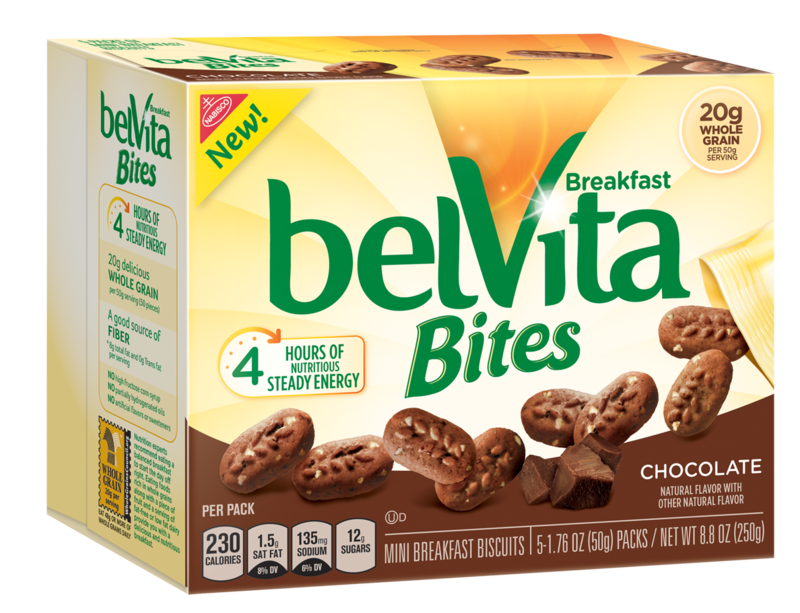 Have you tried belVita Bites? Your spoon won’t miss you, I promise. These look yummy and good for you. Too many times I’ve had no time for breakfast – these would be perfect!!! Great for a family always on the go! I’d love to try the chocolate ones and ditch the spoon. Sounds like a good thing! I love these, perfect option to keep in your bag, I always have these for on the go. They are really good too!